Looking to buy an new AquaVogue aquarium? 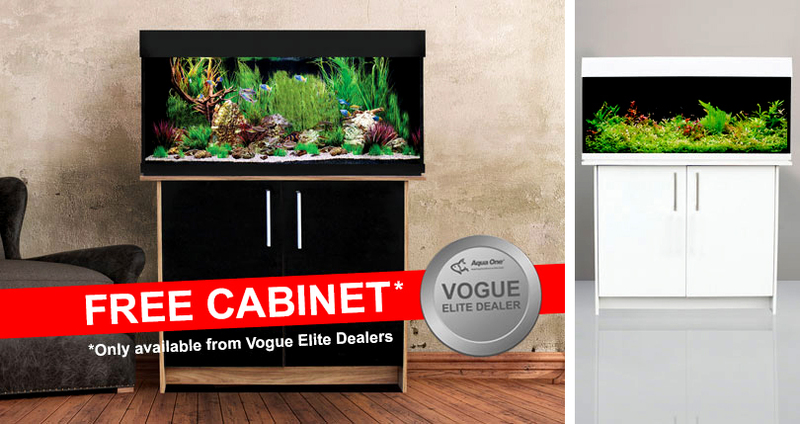 For a limited period you can purchase any one of the three stunning AquaVogue aquariums in the range and get a matching cabinet absolutely FREE. The offer is only available from your local selected Vogue Elite dealers. 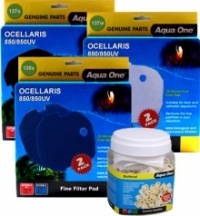 Features include, state of the art LED lighting including White, RGB and Blue and the very latest in easy to maintain external filtration with the Ocellaris 850 Canister Filter. The range comprises setups from 135 litres up to 245 litre with finishes of Black and Walnut or White with White Gloss cabinet available.